Windows apps bring the power of Windows onto the mobile platform. Windows has caught the fancy of the users ever since the launch of its first generation of mobile operating system and has become one of the leading app stores. Major manufacturers from the around the globe are utilizing the Windows platform to reap benefits through Windows phone application development. Windows Phone 8 takes a big step forward from its predecessor, Windows Phone 7, with change of kernel from Win CE to WinNT, tremendously simplifying the application compatibility story between Windows 8 and WP8. And multi-core chipset on WP8 makes sure the applications run swift and smooth. Support of C++ and DirectX on Windows Phone 8 unlock many doors of opportunities for developers. The new platform enables windows phone application development to be tailor made, focusing on enhanced user experience and rich graphical interfaces. Future readiness with multi-core processor support and NFC capabilities. Secure Wallet to keep important info on your fingertips. Leverage based on Nokia’s legacy in maps and directions. Support for bigger and sharper screens. Deep Skype integration in OS itself, VOIP can now run in background. 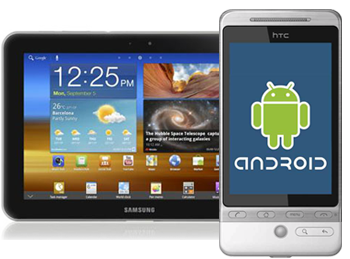 Seamless synchronization of multiple devices. Integrated is one of the most sought after name when it comes to Windows mobile apps development. Our team of world-class mobile application developers can transform your Window phone app ideas into reality. You can also get in touch with us to get your existing android, blackberry and iOS application optimized for the Windows platform. This can help you gain from the bleak competition on the Windows app store. Custom Windows Phone application development.